Welcome to PHISOnline.com (the "Web Site"), a web site where consumers, producers, and businesses can research for various insurance products. The Company provides its services to you subject to the following conditions. If you visit at this Web Site, you accept these conditions. Please read them carefully. 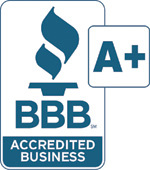 This Web Site is for the use of consumers, producers, and businesses that are researching insurance products. The Company reserves the right to prevent any party who engages in non-permitted use(s) from accessing this Web Site. THIS WEB SITE IS PROVIDED BY THE COMPANY ON AN "AS IS" AND "AS AVAILABLE" BASIS. THE COMPANY MAKES NO REPRESENTATIONS OR WARRANTIES OF ANY KIND, EXPRESS OR IMPLIED, AS TO THE OPERATION OF THIS SITE OR THE INFORMATION, CONTENT, MATERIALS, OR PRODUCTS INCLUDED ON THIS SITE. YOU EXPRESSLY AGREE THAT YOUR USE OF THIS SITE IS AT YOUR SOLE RISK. ANY LINKS TO OTHER WEB SITES ARE PROVIDED AS A COURTESY. THEY ARE NOT INTENDED TO NOR DO THEY CONSTITUTE AN ENDORSEMENT BY THE COMPANY OF THE LINKED MATERIALS.TO THE FULL EXTENT PERMISSIBLE BY APPLICABLE LAW, THE COMPANY DISCLAIMS ALL WARRANTIES, EXPRESS OR IMPLIED, INCLUDING, BUT NOT LIMITED TO, IMPLIED WARRANTIES OF MERCHANTABILITY AND FITNESS FOR A PARTICULAR PURPOSE. THE COMPANY DOES NOT WARRANT THAT THIS SITE, ITS SERVERS, OR E-MAIL SENT FROM THE COMPANY ARE FREE OF VIRUSES OR OTHER HARMFUL COMPONENTS. THE COMPANY, ITS AGENTS, OR REPRESENTATIVES WILL NOT BE LIABLE FOR ANY DAMAGES OF ANY KIND ARISING FROM THE USE OF THIS SITE, INCLUDING, BUT NOT LIMITED TO DIRECT, INDIRECT, INCIDENTAL, PUNITIVE, AND CONSEQUENTIAL DAMAGES, EVEN IF THE COMPANY IS MADE AWARE OF THE POSSIBILITY OF SUCH DAMAGES. By visiting this Web Site, you agree that the laws of the State of Illinois, without regard to principles of conflict of laws, will exclusively govern these Legal and Licensing terms and any dispute of any sort that may arise between you and the Company. The only exception to this is information relating to Medicare plans, which is governed by Federal law. 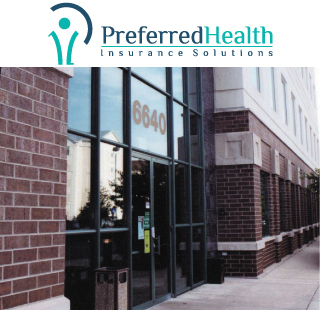 *Preferred Risk Insurance Agency does business as Preferred Health Insurance Solutions and PHISOnline.com in the states indicated. Click the links above to view each Certificate of Completion.